BMW S 1000 XR. The next alternative for those who like to quickly come up to speed. 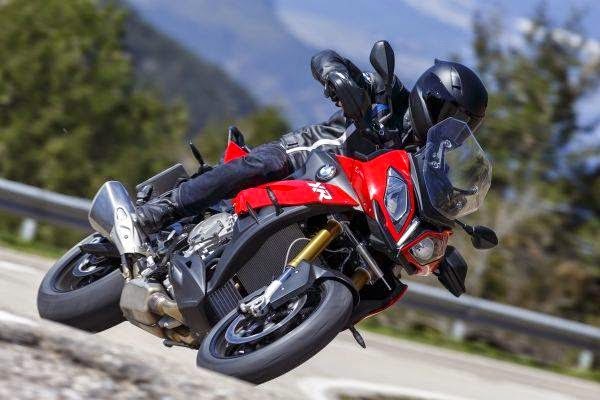 At the very beginning is a crucial question: Why do we need a second BMW Adventure bike in the big leagues? The R 1200 GS is finally been the market leader, more successful than ever and with the water Boxer winner of most benchmark tests. The answer is simple and yet be struck out twice: firstly, not everyone likes the very special characteristic of the Boxer engine and the other BMW wants the power escalation oppose its own product in this class. The Boxer lush 160 HP would not be represented, but that does not have to be. 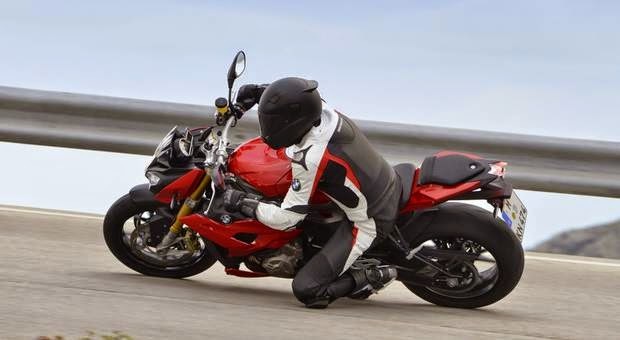 Finally, BMW also has an immensely powerful four-cylinder in the program - and this brings us to the BMW S 1000 XR. 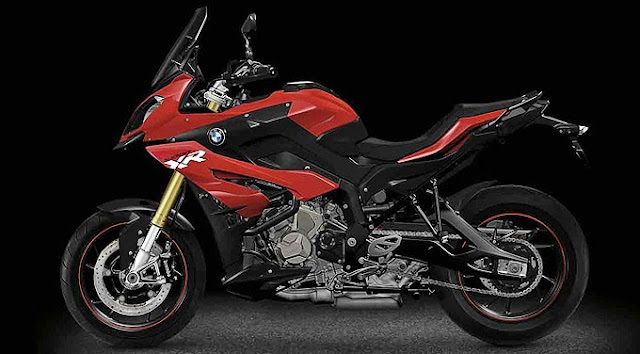 The third member of the Sport family is based on the naked bike, the S 1000 R. The configuration of the motor with reduced peak power in favor of fuller torque was taken down without compromising. The spring elements correspond in Broad R, but were 20 respectively 30 millimeters longer spring travels missed. A big difference is in the wheelbase: A new, significantly longer swingarm and an altered geometry of the fork require an increase of 110 millimeters. This extension was necessary in order to present a long-distance tourer for two comfortably seated passengers and their luggage can also spatially. The exercise has succeeded: On much lower seat height than the GS is perfectly integrated into the motorcycle, even if the knee grip is a little wider because of the four-cylinder engine. The rear seat offers not quite as good as that of the GS Comfort, but is Alleweil touring capabilities. The same applies to the windshield, which is locked with quick grip in two heights: Not quite as protective as the GS, but amazingly efficient. The fact that it has different strengths BMW S 1000 XR, turns out once you have pressed the start button. The four-cylinder is also in its domestic version, a sports engine of the purest water - what advantages, but also disadvantages. The benefits of course include the tangible output of 160 hp, which presents itself as a stunning performance fireworks. The cons: The really brutal thrust arises only over 7000 revolutions a - these are in second gear for more than 90 kilometers per hour. These always come-present intake noise and vibrations that occur once, depending on load and speed on the handlebars, even to the foot rests. In addition, presents at researchers driving an a noticeably increased fuel consumption, which can also be between seven and eight liters. But can the XR be an alternative for all Super bikers who no longer bent on the road and want to be tortured on the way, but still put on precision and performance value. Conversely, the S 1000 XR but also go easy and smooth. Come to a not to tenths of a second and the last degree skew it, the XR is an amazingly uncomplicated companion. With only 228 kg in road trim (or almost full fuel tank) and an engine that revs up cleanly in sixth gear from 35 km / h (! ), Lives and moves it finely.